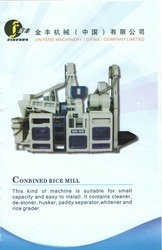 We are an unparalleled name in offering supreme quality Rice Mill Projects. Our offered service is recognized and demanded for its several features some of them are hassle free management & experienced team of experts. Offered skilled professionals use sophisticated technology in completion of these services. Customers can benefit this service from us as per their requirements within a given time frame to them. 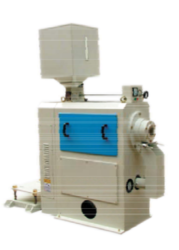 We are engaged in offering a wide range of Combind Rice Mill Machinery Capacity 1.5 Ton Paddy. 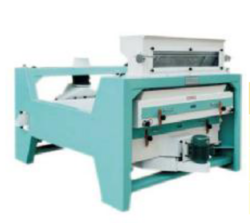 This Kind of Machine is suitable for small capacity and easy to install. It contains cleaner, De- Stoner, Husker, Paddy Separator, Whitener and Rice Grader. 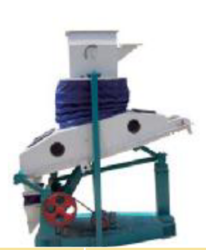 With the valuable assistance of skilled team of professionals, we are offering Rice Mill Pre Cleaner. This cleaner is quite beneficial for cleaning rice. Offered cleaner is suitable for the preliminary cleaning of raw materials in the silos, rice mill, and flour mill and malt plant to separates large impurities. Customers can avail this cleaner from us at reasonable prices in a stipulated frame. Leveraging upon our technologically-advanced production facility, we have been able to provide Broken Rice to Ready Rice. Our product is developed utilizing finest quality components and latest techniques in observance to the set standards of industry. This product is inspected by our quality experts on several parameters so as to deliver a fault free range. We are giving this product on various specifications as per the demand of customers. To meet diverse requirements of our esteemed clients all over the nation, we are offering Horizontal Type Rice Whitener. Offered rice whitener is manufactured from the premium quality components & modern techniques keeping in mind the set norms of industry. 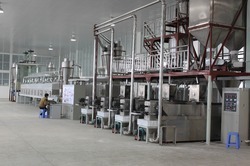 The given rice whitener is inspected on different parameters before the final delivery from our end. In addition, this rice whitener is made available in several models & other advance specifications for our customers. 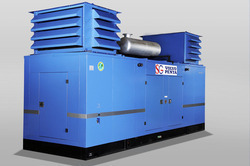 With the help of our expert engineers, we have been able to bring forth a wide range of Silent Generators. Sterling gen sets are powered by world class Mahindra navistar MTU, Perkins and Volvo penta engines reputed for advanced technology with range from 125 KVA to 3000 KVA. Excellent fuel economy, low operating cost, reliability and durability. It has a countrywide network of spare parts and service support for the customers. Sterling generator is the group of a Shapoorji Pallonji company. We are interested in queries from Bihar, Uttar Pradesh and Madhya Pradesh.